A new Aerosmith book sure looks like it’s the kind fans can sink their teeth into. 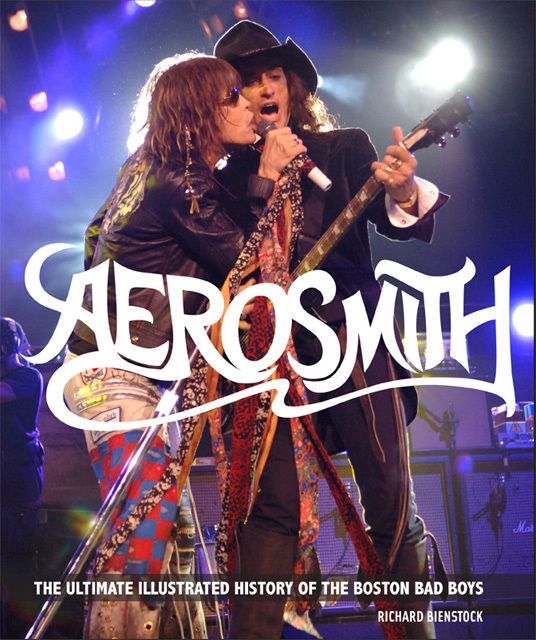 “Aerosmith: The Ultimate Illustrated History Of The Boston Bad Boys” is billed as the first complete illustrated history of one of the world’s most successful and popular bands. The book is illustrated throughout with hundreds of stunning performance and backstage photographs, as well as rare memorabilia, including gig posters, backstage passes, 7-inch picture sleeves, ticket stubs, and more. It features a band history by music journalist Richard Bienstock,and sidebar album reviews from a host of well-known music journalists, including Greg Kot, Jaan Uhelszki, Chuck Eddy, Bill Holdship, Martin Popoff, Daniel Bukszpan, and more. Bienstock, the author, is a senior editor with Guitar World magazine and the executive editor of Guitar Aficionado magazine. He is also a musician and journalist whose writings have appeared in numerous U.S. and international publications. “Aerosmith: The Ultimate Illustrated History Of The Boston Bad Boys” is now available here.